There are three ways to get to Guadalajara / Pto. Vallarta from Laredo, TX. This is the one I recommend. The others are variations going to Zacatecas and then to Aguascalientes or the scenic route to the west. This is straightforward and easy to follow. Smooth sailing on these toll roads that are good for RV's especially as they skirt most towns. Still a short stretch between San Juan de los Lagos and Lagos de Moreno (40 Miles) where it's 2-lane but not difficult driving. RV parks in Saltillo, Matehuala. After that none until Guadalajara or Chapala. For those going to Pto. 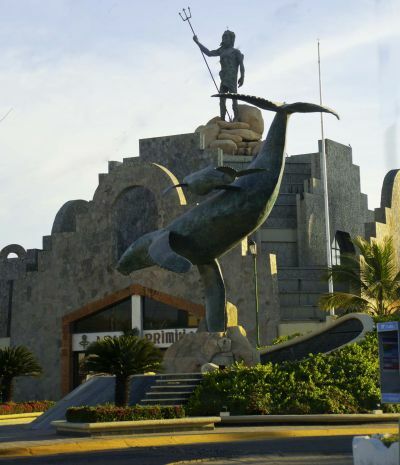 Vallarta, the Maxilibramiento that completely avoids Guadalajara is included. The turnoff for the newish (2019) toll road to Vallarta from the old highway is noted.